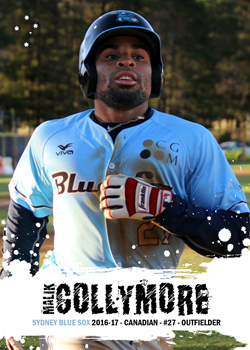 Collymore is an Canadian import from the Milwaukee Brewers who played for the Sydney Blue Sox during the 2016-17 ABL season. 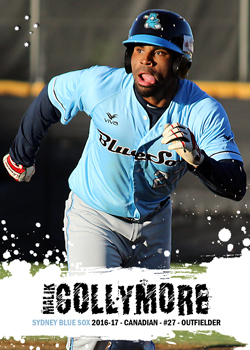 Collymore played for the Brewers Advanced A affiliate, the Brevard County Manatees in 2016 before being released in 2017. Fortunately he was signed by the Cincinnati Reds and spent time between their Dayton Dragons and Daytona Tortugas affiliates. I couldn't resist using the tongue out photo fro an alternate card front.